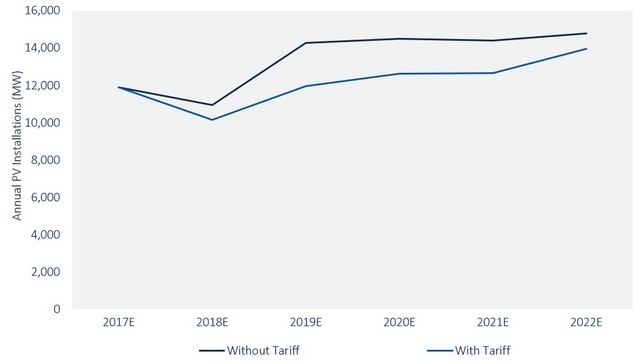 According to new analysis by GTM Research, the tariffs on imported solar cells and modules set forth by the Trump administration will result in an 11 percent decrease in U.S. solar PV installations over the next five years. 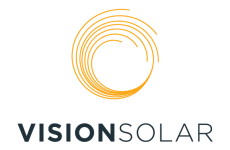 This represents a reduction of 7.6 GW of installed solar PV capacity between 2018 and 2022. GTM Research notes that the tariffs result in an average $0.10/W increase in year 1 prices to modules, stepping down to a $0.04/W premium by year 4. 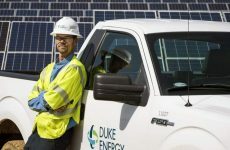 According to the analysis, the utility-scale solar segment will be more heavily affected than the residential and commercial solar segments, taking 65 percent of the expected 7.6 GW of reductions over the next five years. 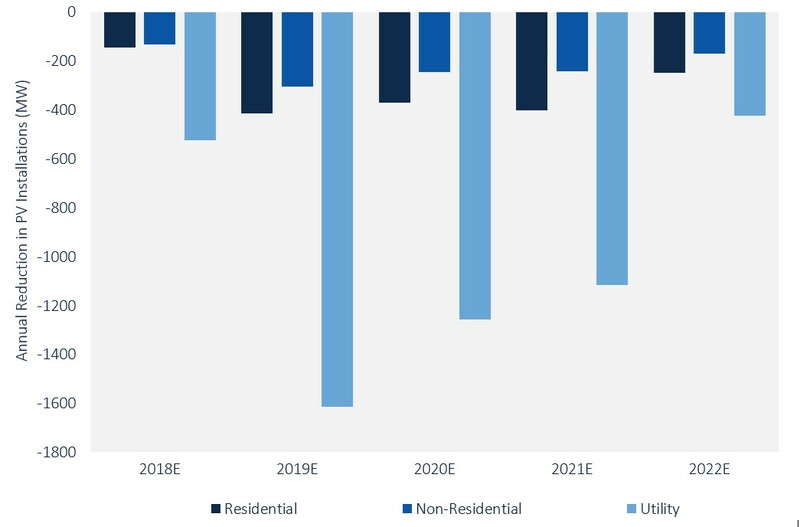 Source: GTM Research U.S. Downstream Solar Service. Projects under construction or with modules already in inventory will damper the effect on 2018 installations, with the effect of tariffs hitting the downstream market more heavily in 2019. 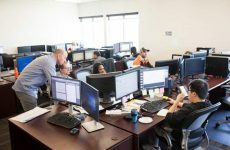 The analysis also shows that new and emerging state markets are disproportionately affected, with southern states like Texas, Florida, Georgia and South Carolina amongst the most impacted by the tariffs.